As engineers, we often need to deal with sleepless nights worried about potential overheating and thermal failure of electronics or electrical equipment that we're designing. This may occur in extreme environments or under harsh conditions, or even (for poorly conceived designs) just with prolonged continuous usage in normal ambient conditions. thermal radiation between all components and to the external environment. 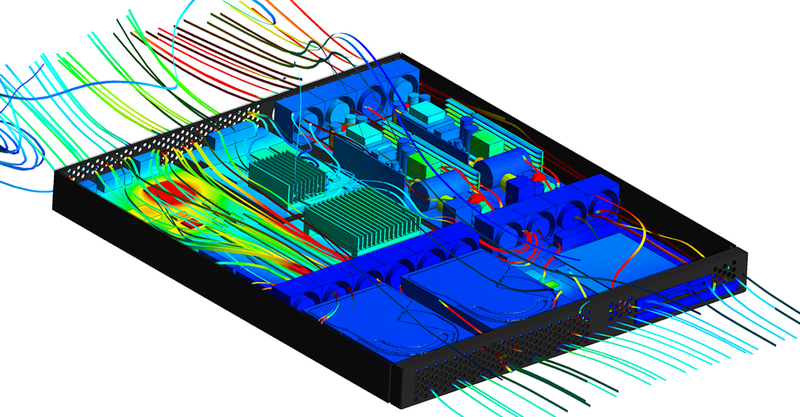 ANSYS Icepak is a CFD tool that has been custom built for electronics and electrical engineers. Icepak allows you to accurately predict the thermal cooling of your product design, without the need to be a “CFD expert”. Importantly, Icepak has been built upon the world-leading FLUENT CFD solver for best accuracy and speed, but also has a completely customised GUI which provides automation of frequent tasks and speaks the language of electronics/electrical engineers. This means that Icepak is very easy to learn and intuitive to use, both for regular and infrequent users. What information will CFD simulation provide? The depth of CFD results within Icepak provide engineers with an additional level of insight that they previously only dreamed of. Rather than being limited to tracking temperatures at a finite number of locations (limited to the number of probes in their old physical experiments), a virtual testing environment provides you with the ability to report important quantities at an unlimited number of locations (such as temperatures, flow velocities, flow pathlines, pressures), as well as visualise complex flowfields and temperature profiles using 3D images and animations. Icepak will also track and report any key criteria that you set, such as reports on your fan operating points, critical component temperatures, as well as identifying which components have reached their individual temperature limits. Icepak within the ANSYS Workbench allows you to setup a bi-directional link to your MCAD and ECAD data. Icepak also offers pre-built libraries which save users a tremendous amount of time by allowing you to drag and drop commonly-used components: such as fans, grilles, PCBs (with the effect of multiple copper layers), heat sinks and other electronic components. Electronics engineers within most companies are working in multidisciplinary teams (if not taking on that role themselves!). Recent developments mean that Icepak also provides engineering teams with a unique 2-way coupling with all other relevant physics, such as electromagnetic heating effects for key components using HFSS/Maxwell/Q3D , or the ability to predict thermal stress and thermal fatigue failure using ANSYS Mechanical. I have overheating issues with my product! How can I learn more? 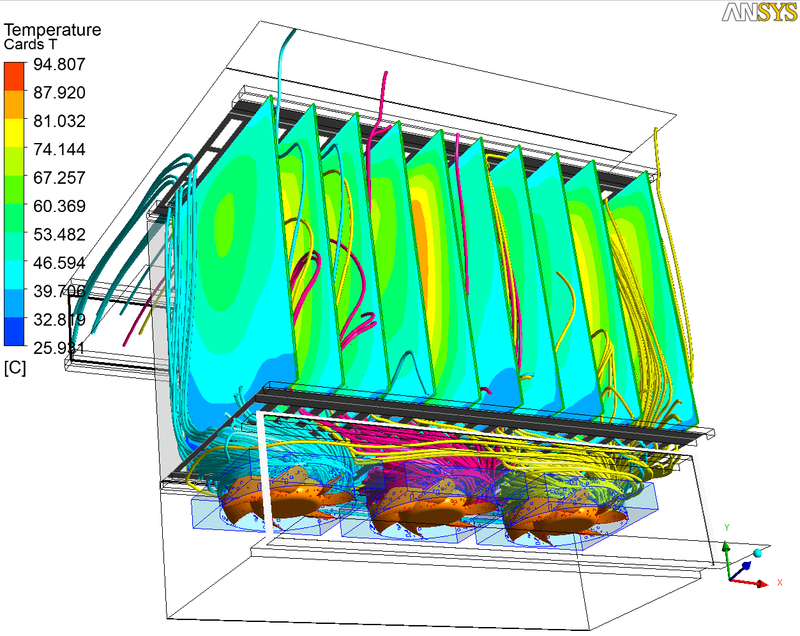 LEAP is running a free webinar on August 26th to outline the current best practices in using CFD for thermal management simulations. To register, click here.